Everyone knows that .22 LR is inherently unreliable… right? Feeding and ignition issues might be more common with .22 than with centerfire ammo, but there are some ways to avoid a lot of those problems. In Part 5 of our ongoing Pocket Pistol Series, we’re talking about how to keep your .22 running. Details in the video below or scroll down to read the full transcript. There are some very good reasons .22 LR is (and has been for a very long time) the most popular caliber in the world. The ammo is cheap, the guns are also usually affordable, it’s got very low recoil, and it’s just tons of fun to shoot. But relying on a .22 for personal protection is a controversial practice because of its unimpressive terminal ballistic properties. 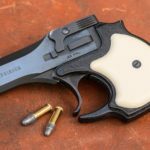 That was the topic of our video last week, and in particular, we looked at the viability of .22 pocket-sized handguns for concealed carry. I personally think there is a case to be made for carrying a .22 under certain circumstances, but there is one part of that topic that I purposefully avoided because I thought it warranted its own separate discussion, and that’s reliability. .22 LR has a reputation for being inherently unreliable, but there is a lot we can do to mitigate that and maybe even make a .22 dependable enough to trust for personal protection. 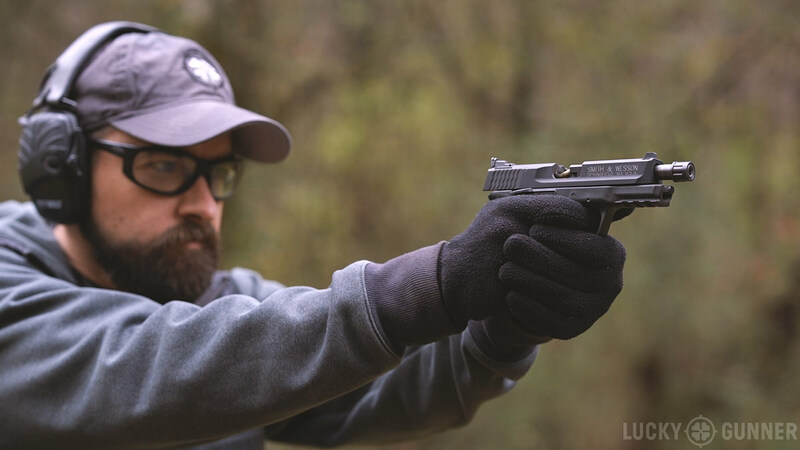 This is part of our series on pocket pistols, but most of what I’m going to talk about should also apply to any .22 pistol, revolver, or rifle. When we talk about .22 LR being unreliable, there are actually two different issues we’re referring to: failures to fire and failures to feed. Rimmed cartridges like the .22 LR are also not ideally suited for magazine-fed semi-automatic actions. These days, there are some very reliable .22 semi-auto pistols and rifles out there, but on average, feeding problems are a lot more likely with a .22 than with any centerfire auto-loader. Failures to feed are… not ideal. If you like the idea of a .22 for self-defense, the easiest way to side-step both of these issues is to just use a revolver. There are no feeding issues to worry about and if you encounter a misfire, you simply press the trigger again and move on to the next round in the cylinder. This is one of the reasons I personally really like small .22 revolvers. With a semi-auto, both a failure to fire or a failure to feed will create a stoppage that has to be manually cleared before the gun can be fired again. Anyone relying on a semi-auto of any kind for self-defense should be well-practiced in how to quickly clear these malfunctions — that’s something we’ll cover later on in this series. But needless to say, it would be ideal if we could avoid malfunctions all together. 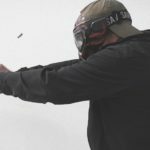 To get more reliable feeding and ignition, some people have noticed that usually, all you really have to do is use higher quality ammunition. In particular, the failures to fire seem to be a lot more common with the bulk-pack ammo where the rounds are just loosely packed into a cardboard box. As a general rule, you get better reliability from ammo that’s packaged in trays where the rounds are separated from each other like these. 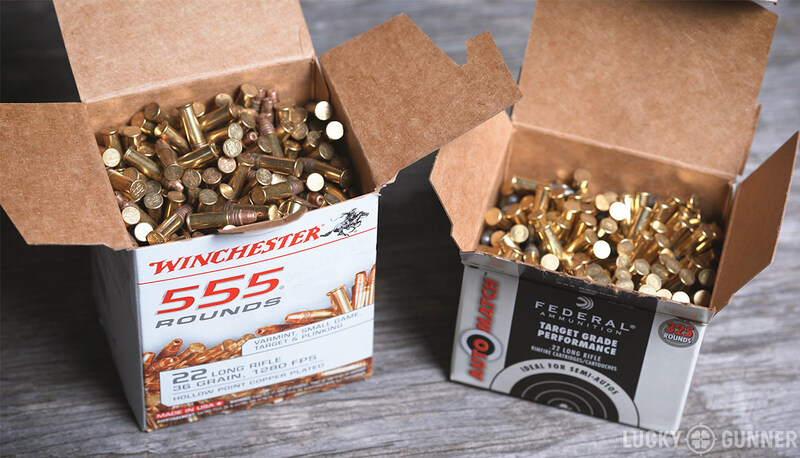 The bulk pack stuff is fine for practice or plinking, and you may not end up having any problems with it at all, but for self-defense ammo, I’d stick with the higher quality stuff. We also have to consider that the ammo we load into a carry gun and wear in a holster every day is exposed to much harsher conditions than the ammo we take to the range and shoot right away. Moisture from sweat, rain, or humidity can get inside the case and ruin the primer or propellant. 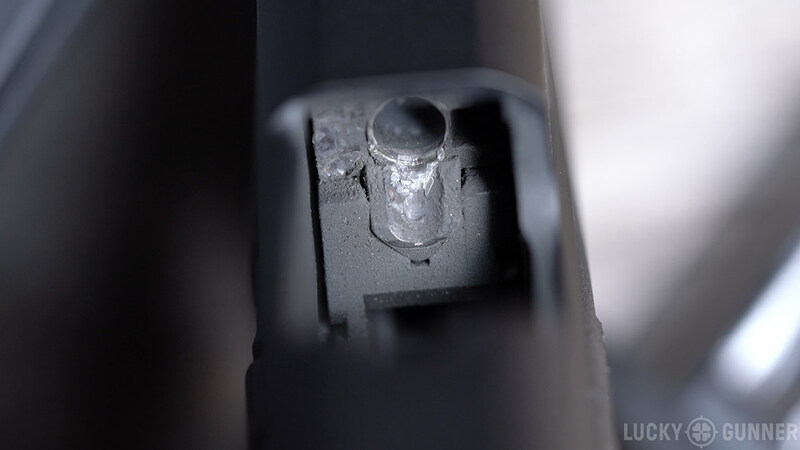 And when a gun gets jostled, shaken, or knocked around, those vibrations and impacts can potentially break apart the priming compound that’s around the rim, which would also cause a misfire. Centerfire primers are not as prone to these kinds of problems and premium self-defense ammo is typically sealed at the case mouth and around the primer pocket to further protect from moisture. 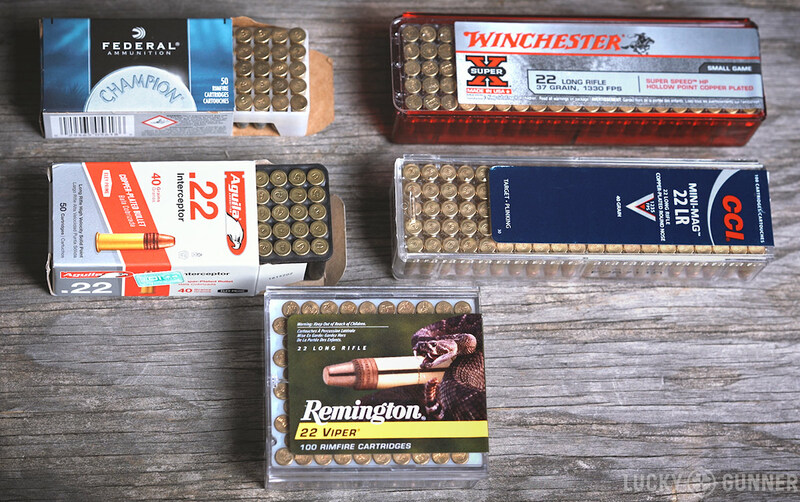 … .22 LR ammo packed in trays like these typically has a better track record. The ammo might cost slightly more than the bulk packs, but reliability and performance tend to be more consistent. I wanted to know just how susceptible to these problems .22 LR ammo could be, so I did a little experiment with 1500 rounds of 40 grain plated round nose CCI Mini-Mags. I put 500 rounds in a brass tumbler for about an hour to see if that vibration would damage any of the primers. I took another 500 rounds and sprayed them with a solution of salt water to simulate sweat and let them sit for 24 hours before drying them off. The last 500 rounds were the control group to test how reliable we should expect this ammo to be fresh out of the box. 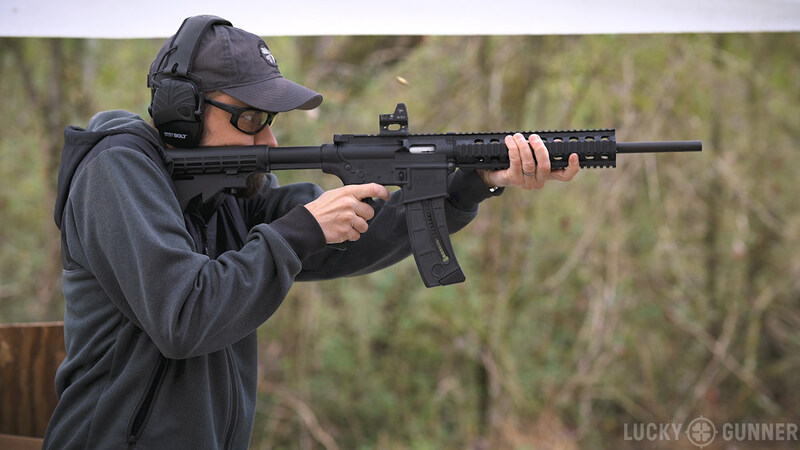 I fired all 1500 rounds through a Smith & Wesson M&P 15-22 rifle. I chose this gun simply because it’s been reliable for me in the past and it has 25-round magazines that are easy to load. And here are the results: With the control group, I had zero failures to feed and zero failures to fire. No problems at all. With the ammo that was left in the brass tumbler, there were zero failures to feed and zero failures to fire. The rounds vibrating against each other was enough to wear off a lot of the copper plating on the bullets, but it didn’t seem to hurt the primers. And then there was the batch that I exposed to salt water. Out of those 500 rounds there were… zero failures to feed and zero failures to fire. To be completely honest, I was really hoping for a more interesting result from this experiment, and maybe if I had used larger batches of ammo or if I had exposed the rounds to more water or tumbled them for a longer period of time there would have been some failures. But this test was, I think, still probably more extreme than what the ammo in the typical carry gun is likely to be exposed to. Your .22 ammo may not be as protected as premium centerfire self-defense ammo, but based on this test, I wouldn’t say it’s especially delicate, either. Still, just to be on the safe side, and because .22 is so affordable, I would suggest switching out the ammo in your carry gun for fresh rounds at least every couple of months or so. So use good ammo that’s in good condition — that’s going to take care of a lot of those reliability problems right there. You also want to use a good firearm that’s that’s known to be generally reliable. I won’t get into specific recommendations today because that’s another topic I’m going to cover in a future video. For now, I’ll just say that some .22s tend to work well with any kind of ammo you feed them and others work really well with some loads and not at all with others. Either way, that requires some experimentation and just like with any self-defense firearm, you need to thoroughly test the gun and the ammo to make sure they work together. Another thing that’s important to know about .22 LR ammo is that it’s filthy. 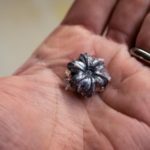 In addition to the unburned gunpowder and lead residue that you get from any kind of ammo, .22 bullets are coated with wax or some other kind of lubricant, and the rimfire priming compound also leaves behind a lot of residue. You don’t have to fire a whole lot of rounds through a .22 before you get enough build-up of all of that junk to start causing malfunctions. So one of the absolute best things you can do to keep your .22 running is to clean it often and keep it lubricated. A modern centerfire semi-auto can usually go a few thousand rounds between cleanings with no problem and even longer as long as you keep adding lube. But you cannot abuse a .22 like that. Whether it’s a pistol or a rifle or a revolver, has to be clean if you want it to work. I don’t think we can ever expect a semi-auto .22 to be as reliable as a quality centerfire pistol. But for some people, using a .22 for self-defense still makes a lot of sense. If you use good ammo in a clean gun that’s proven to be reliable and you know how to clear a malfunction in case you do come across one, you will have neutralized the vast majority of problems a .22 is likely to ever give you.